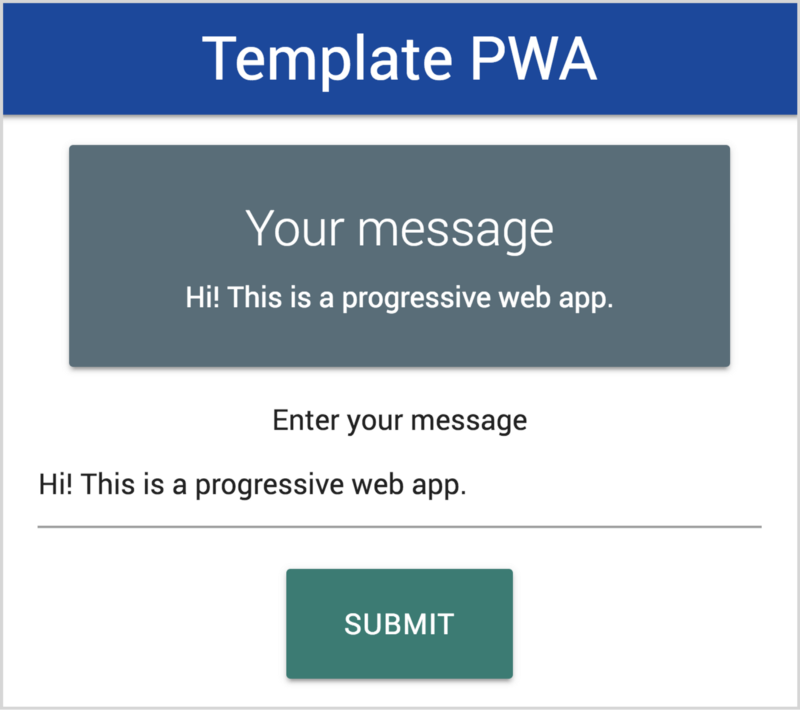 Progressive web apps are a hybrid of a website and an app that you might use on a tablet or mobile. Making one has a lot in common with creating a website, but with a few key extra files and concepts involved. It need not take a week of trial and error or trawling through a tutorial to get one up and running. Responsive — Fits any form factor: desktop, mobile, tablet, or whatever is next. Connectivity independent — Enhanced with service workers to work offline or on low-quality networks. Installable — Allows users to add apps they find most useful to their home screen without the hassle of an app store. 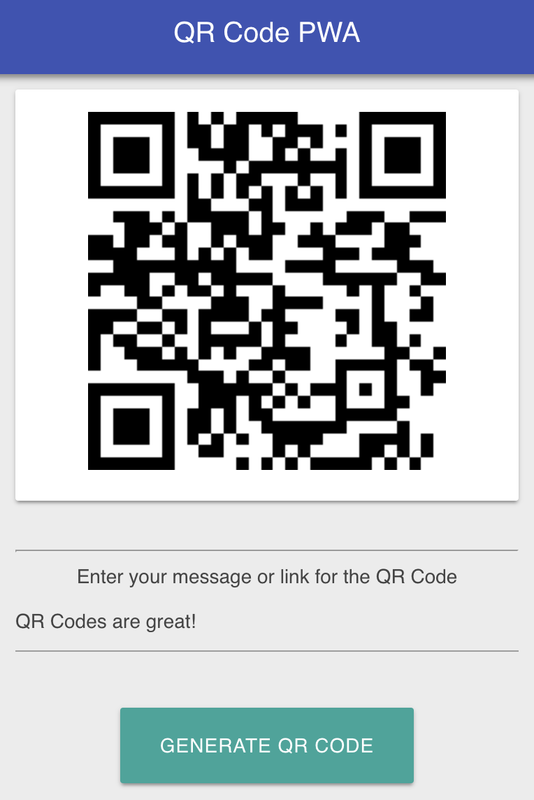 Linkable — Easily share the application via URL, does not require complex installation. The acquisition enhances Mimecast’s offerings, adding cybersecurity awareness training, risk scoring and real-world simulation attack scenarios to your already potent mix of cyber resilience services. Ataata combines effective, modern training techniques with predictive analytics to solve for your company’s vulnerability to human error. Human error is involved in 95% of all security breaches. But humans are maddeningly careless and resistant to change. Employees’ casual mistakes lead to disaster all the time — and cost people their jobs. To change security culture effectively, employees have to know what to do, care enough to improve, and then do what’s right when it matters. 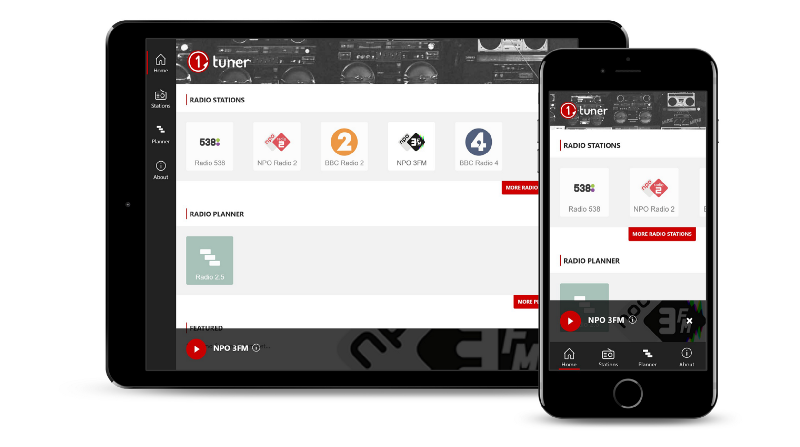 1Tuner is a progressive web app that you can use to listen to online radio. And it allows you to plan your own ideal radio listening day, so the player switches between radio streams automatically. The app is pretty basic, but it changed while I was learning during development of it. 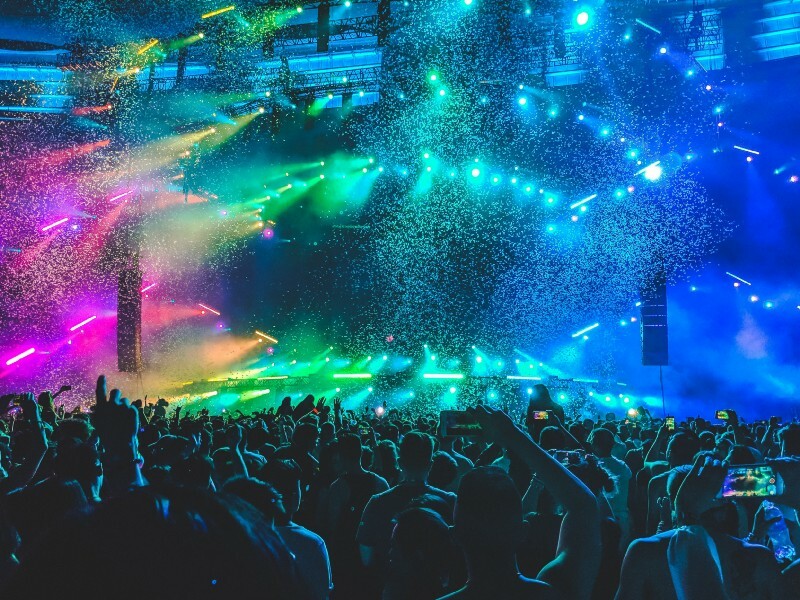 In this article I will try to describe the process and decisions. At the office, we always listened to good-old radio. For years, we tuned our browser to the audio stream of the Dutch public radio channel 3FM. We heard nice pop/rock tunes, some fine jocks and a good news service. I knew this had to be fixed. So I started a new web app to start Radio 2.5; an automatic stream switcher. I was fairly late to the “front-end framework party”, and wanted to dive in. This side project seemed ideal for that. 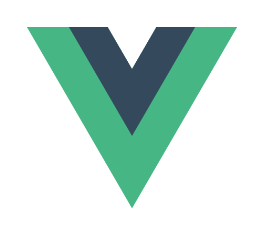 I started with Vue.js, and wanted to try Webpack as well. I found some basic boilerplate projects and started by trial and error. Lots of errors actually… The thing with side projects is: time. I’m not sure how other people manage this, but to be fair it’s hard to start up each time when you leave your code behind for some days. And when you finally found out where you got stuck, it’s time to sleep! 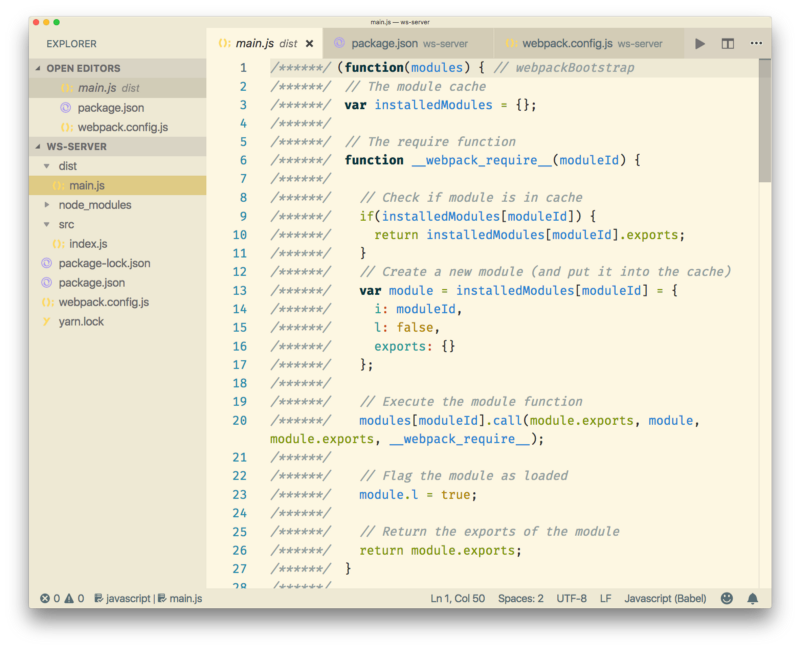  I was struggling in the world of Webpack modules and loaders, and somehow corrupted npm modules. Another confusing problem at first, was the audio element. Initially I used the “autoplay” attribute, and then just changed the audio source. This worked in Chrome on desktop, but not on mobile — audio didn’t play on mobile. It took some time before I understood this was an “autoplay” problem (later on, the autoplay behaviour was the same on desktop). From my experience; just avoid using autoplay . Nowadays you also should trigger audio change on user gestures like the tap/click of a button. Once I had a basic app that was switching the audio streams, I was done with it for some time. But I also read a lot about Preact, and when preact-cli came by in my Twitter timeline, I wanted to try that! So I started from scratch. Or maybe not really, because preact-cli works like a charm right out of the box. One thing that bothered me with my previous setup was file size and loading times. I was using Firebase as well, which was actually quite big (with all the bells & whistles). And together with all inefficient things I had included, the total (optimized & minified) size was ridiculous — because I was just tinkering around. OK, don’t laugh. I really thought things through. I wanted an interface that was as clean as possible, because the main way to use the app would be to tap and listen. For the logo and icons, I used the online vector tool Gravit Designer — it’s free and pretty amazing actually. Open, edit and save to SVG. Because I wanted a quick loading and a native-like app experience, I wanted to go with system fonts. By using system fonts, you always get the default font of the device. Stuart Frisby wrote a nice article about implementing system fonts on Booking.com. I started with a default header menu and a play button on the main screen. Then I moved the play button to a fixed positioned footer. Recently I moved the navigation to a fixed icon/tab bar for mobile and left-hand menu for bigger screens. For web apps, the tab bar navigation can be problematic because in some browsers you get a double navigation at the bottom (app + browser navigation). But overall the experience is better this way I guess. 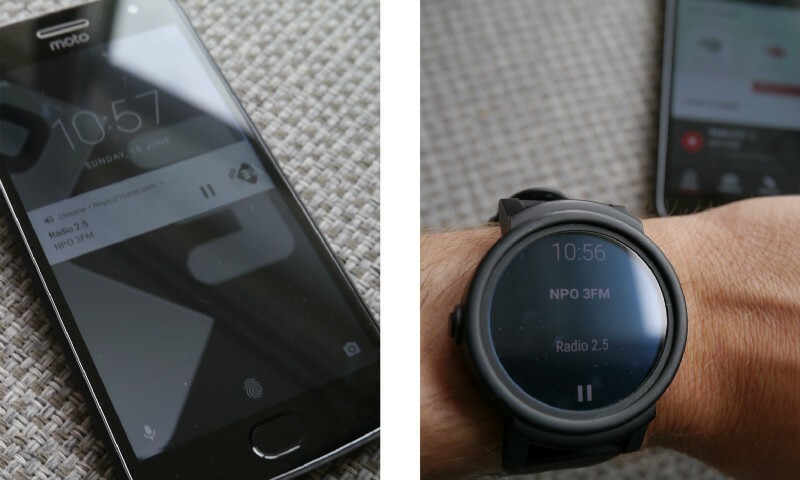 I use the Media Session API to display the current playing radio station notification. Obviously this puts in the “progressive” part in the web app, as this only seems to be supported in Chrome on Android right now. However, it works out great; you’ll see the logo with play/pause on your lock screen, and even on your smartwatch! As you may have noticed there is only a “pause” icon. Because in the 1tuner app you are listening to “live” radio, I handle the pause event as “stop”. Unfortunately, there seems to be no stop event/icon from the media notification right now. 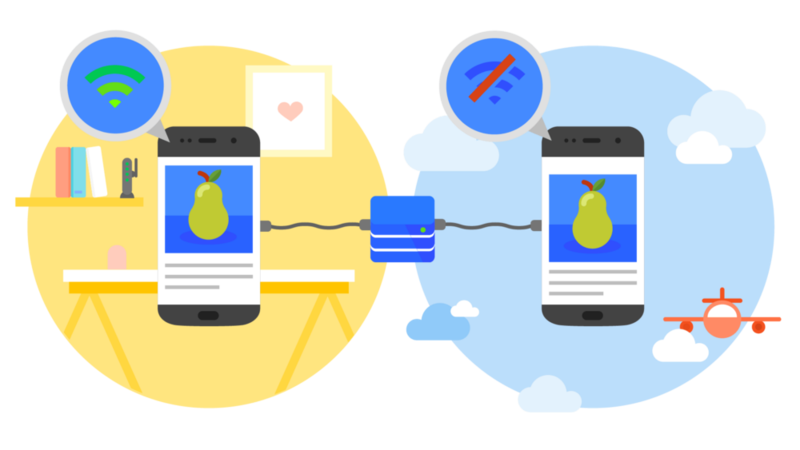 The Web Share API is another great addition to the app. It’s easy to use and directly opens up the native share menu when you click the share icon. Navigator.languages/language for the default “Region” filter. I use idb-keyval from Jake Archibald, a simple way to store key/value data that is implemented with IndexedDB. It’s just so great that there are so much free tools and services! Preact-cli is amazing, you can start with some demo projects, routing, pre-render and a service worker that just works out of the box. Preact is like React, but smaller! Big thanks to Jason Miller. I used the online vector design tool Gravit Designer for the logo and icons. You should really try this out! Gravit Designer easily exports to SVG, but the output can still be optimized. If you don’t have it automated in your project, you should use the excellent SVGOMG from Jake Archibald. To get all the app icons: https://realfavicongenerator.net. It’s pretty full featured as you even get a Safari Pinned Tab SVG traced icon for instance. You can also use the favicon generator API and use this in your own automated tasks. I use Firebase for hosting and the database. I don’t use much of the other features anymore, but authentication for client-side apps is really easy with Firebase! 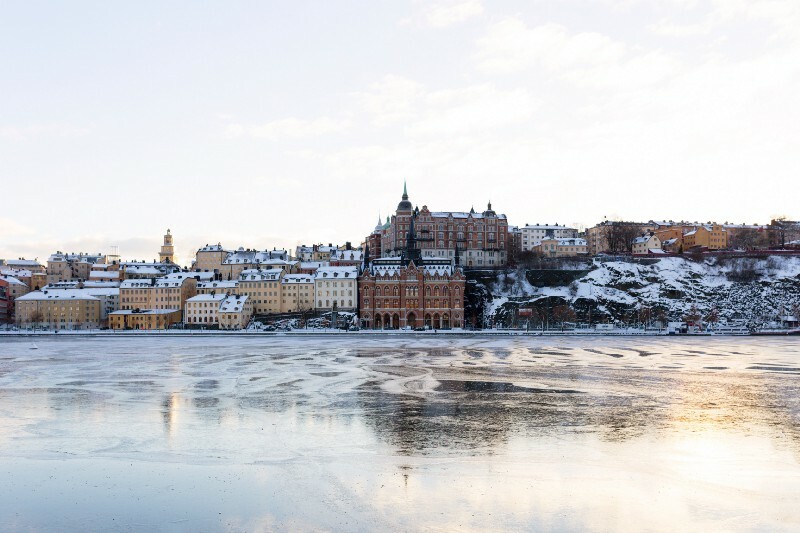 The header image is from Pexels, a free stock photo library (CC0 license). Let users add radio stations. Share planning with timezone support. Had a quick look earlier, but this is a bit complex because of daylight saving times. Podcast support (also for use in the planner). An option to cast to Chromecast directly. Given a large number of files, it generates a single file (or a few files) that run your app. helps you bundle your resources. watches for changes and re-runs the tasks. can convert inline images to data URIs. allows you to use require() for CSS files. can run a development webserver. can handle hot module replacement. can split the output files into multiple files to avoid having a huge JS file to load in the first page hit. 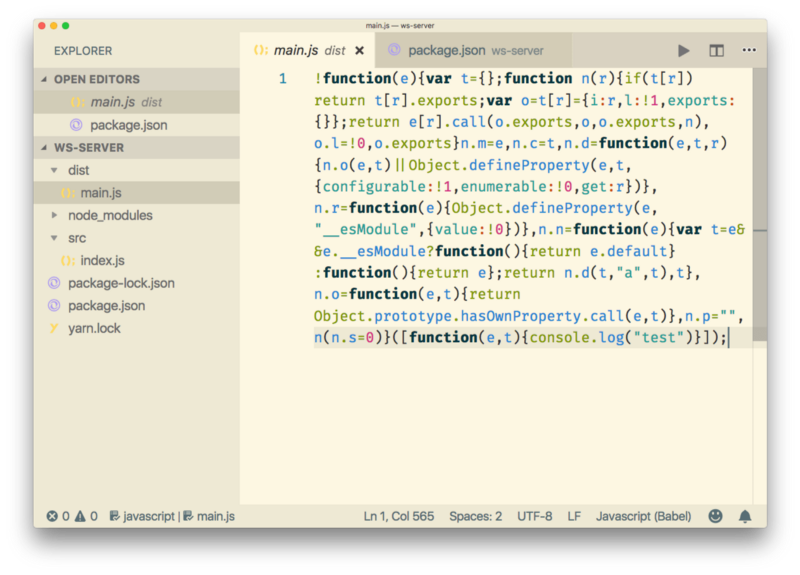 Webpack is not limited to being used on the front-end, but is useful in backend Node.js development as well. There are many predecessors of Webpack and lots of similarities in what those tools and Webpack do. The main difference is that those tools are known as task runners, while Webpack was born as a module bundler. Webpack can be installed globally or locally for each project. Webpack can be installed locally as well. 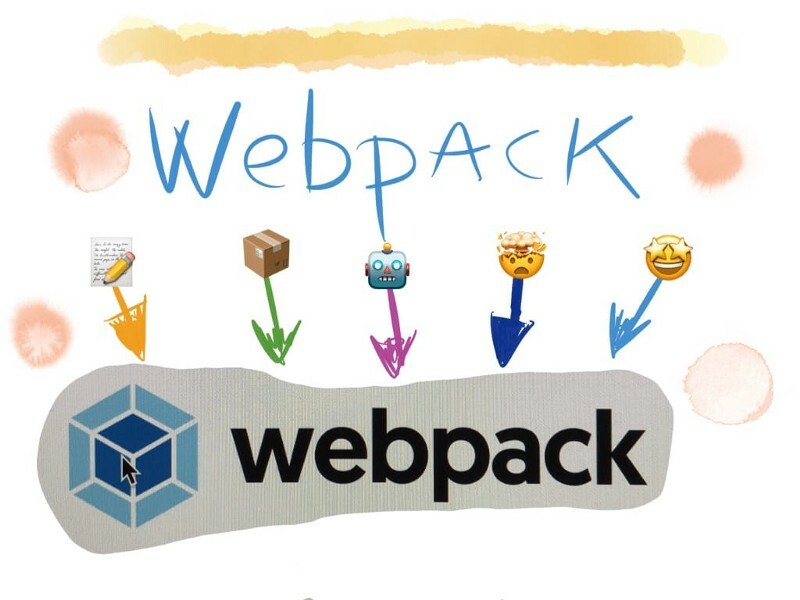 It’s the recommended setup, because Webpack can be updated per-project, and you have less resistance in using the latest features just for a small project rather than updating all the projects you have that use Webpack. the output is put in ./dist/main.js. You can customize every little bit of Webpack of course, when you need. The Webpack configuration is stored in the webpack.config.js file, in the project root folder. The regular expression targets any CSS file. In this example, css-loader interprets the import 'style.css' directive in the CSS. style-loader is then responsible for injecting that CSS in the DOM, using a <style> tag. The order matters, and it’s reversed (the last is executed first). What kind of loaders are there? Many! You can find the full list here. See the babel-loader options here. Plugins are like loaders, but on steroids. They can do things that loaders can’t do, and they are the main building blocks of Webpack. There are lots of plugins available. 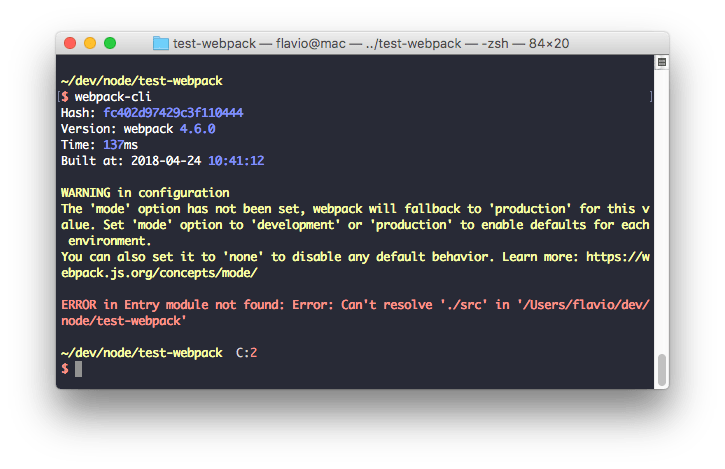 This mode (introduced in Webpack 4) sets the environment on which Webpack works. It can be set to development or production (defaults to production, so you only set it when moving to development). I made a sample app that just prints a console.log statement. Webpack can be run from the command line manually if installed globally. But generally you write a script inside the package.json file, which is then run using npm or yarn. Webpack can automatically rebuild the bundle when a change in your app happens, and it keeps listening for the next change. One nice feature of the watch mode is that the bundle is only changed if the build has no errors. If there are errors, watch will keep listening for changes, and try to rebuild the bundle, but the current, working bundle is not affected by those problematic builds. Webpack allows you to use images in a very convenient way, using the file-loader loader. Where img is an HTMLImageElement. Check out the Image docs. file-loader can handle other asset types as well, like fonts, CSV files, XML, and more. Another nice tool to work with images is the url-loader loader. This example loads any PNG file smaller than 8KB as a data URL.